There are 54 Memory Care Facilities in the Santa Ana area, with 3 in Santa Ana and 51 nearby. The average cost of memory care in Santa Ana is $4,031 per month. This is lower than the national median of $4,650. Cheaper nearby regions include Orange with an average starting cost of $3,952. To help you with your search, browse the 77 reviews below for memory care facilities in Santa Ana. On average, consumers rate memory care in Santa Ana 4.7 out of 5 stars. Better rated regions include Orange with an average rating of 5.0 out of 5 stars. Caring.com has helped 10 families in Santa Ana find high-quality senior care. To speak with one of our Family Advisors about memory care options and costs in Santa Ana, call (855) 863-8283. Promotion ends in 97 days! Orange County, CA, has a senior community that accounts for over 14 percent of the total population, and according to the Alzheimer's Association, about 84,000 of those seniors have Alzheimer's. While just over 8 percent of Santa Ana's 334,000-person population is age 65 or over, local seniors have access to a wide variety of dementia-related services and supports. In addition to providing access to dozens of support groups, cultural and arts programs and classes that educate attendees about dementia, the Santa Ana area has 54 memory care facilities. These facilities are licensed by the Department of Social Services, Community Care Licensing Division and are generally housed within residential care facilities for the elderly. The air quality in Santa Ana is poor, which may negatively impact the health of those with lung or heart disease. The American Lung Association gave the county an F for ozone pollution and a D for short-term particle pollution. 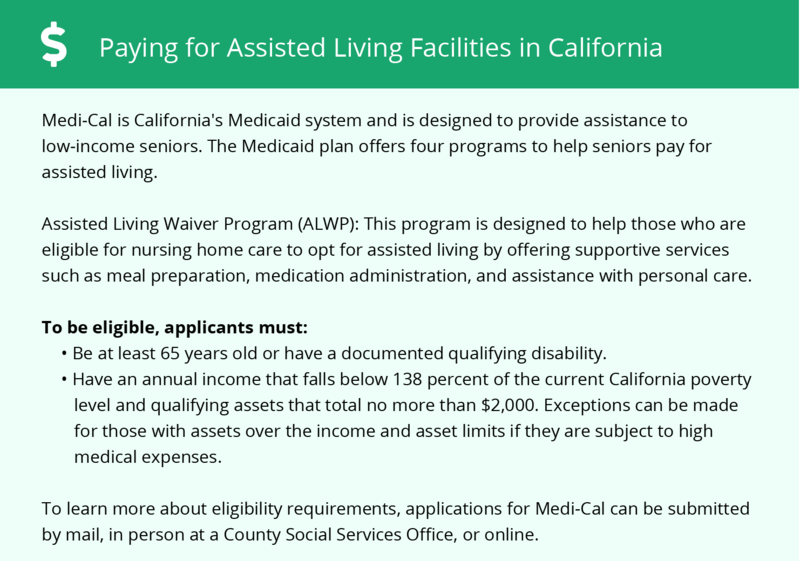 California is not very tax-friendly for seniors, which may be a consideration for seniors who are moving to memory care in Santa Ana from out of state. While seniors don't pay income tax on Social Security, all other forms of retirement income, including government pensions, are fully taxable. While the overall cost of living in Santa Ana is about 60 percent higher than the national average, it is nearly 10 percent lower than the state average. Healthcare expenses, in particular, are relatively low, coming in about 11 percent below the nation's average. This may help seniors afford the expense of managing a chronic condition like Alzheimer's disease. Santa Ana's property crime rate is below regional, state and national averages. On a 100-point scale, with 100 representing high crime, the city's property crime rate is 29.8 compared to the national average of 38.1. The violent crime rate is about three points higher than the countrywide average. To keep residents safe, memory care facilities have security features like surveillance cameras and door alarms. Memory Care costs in Santa Ana start around $4,031 per month on average, while the nationwide average cost of memory care is $4,800 per month. It’s important to note that memory care rates in Santa Ana and the surrounding suburbs can vary widely based on factors such as location, the level of care needed, apartment size and the types of amenities offered at each community. To see a list of free memory care resources in Santa Ana, please visit our Assisted Living in California page. 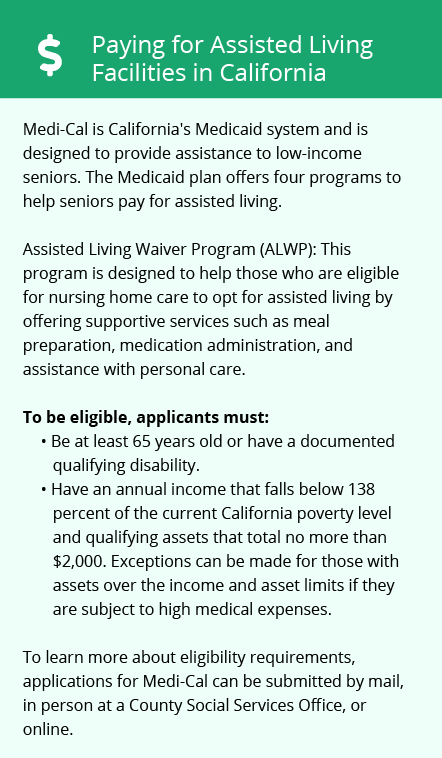 Santa Ana-area assisted living communities must adhere to the comprehensive set of state laws and regulations that all assisted living communities in California are required to follow. Visit our Memory Care in California page for more information about these laws.